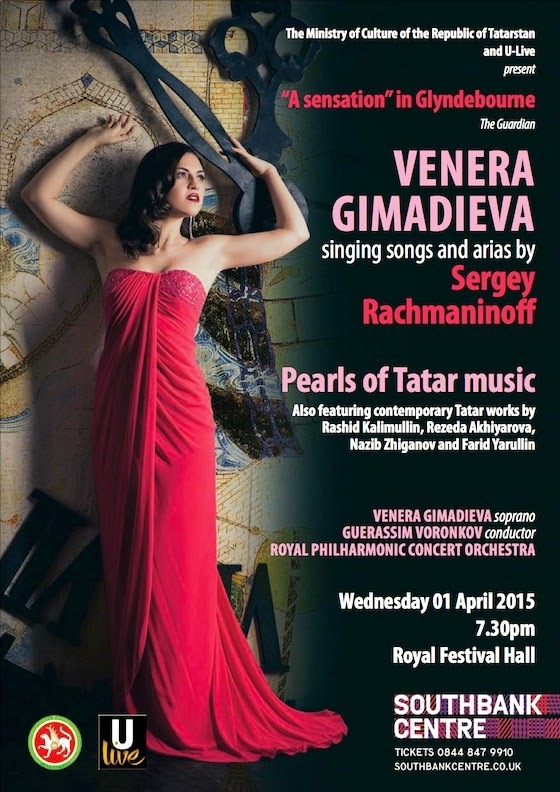 "Leading Tartar soprano Venera Gimadieva introduces the music of Tatarstan. Following on from a performance that won her critical acclaim at Glyndebourne this summer ('a sensation' in the words of The Guardian), Gimadieva joins conductor Guerassim Voronkov and the Royal Philharmonic Concert Orchestra for a celebration of recent works by composers from Tatarstan, alongside vocal masterpieces by Sergey Rachmaninoff, himself of Tatar descent. 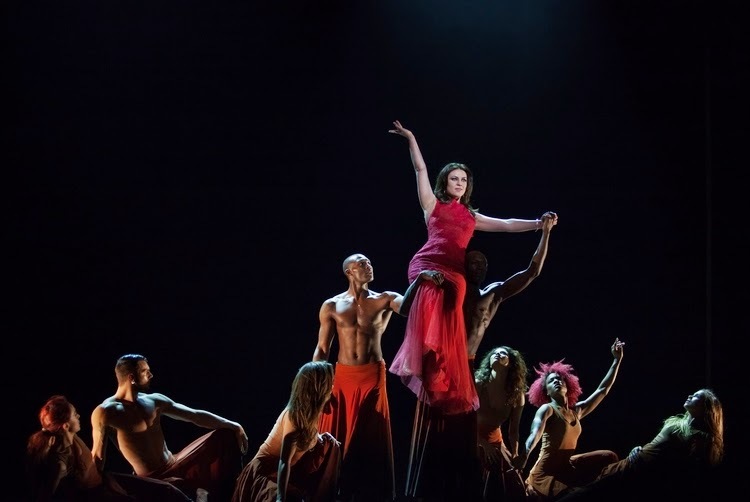 Highlights include songs such as 'Vocalise' and 'Ne poy krasavitsa pri mne' and arias from Francesca da Rimini as well as Rimsky-Korsakov’s The Snow Maiden. "[Source] Click here to purchase tickets. See the concert program, and learn more about Ms. Gimadieva, after the jump. Watch the soprano sing "Salammbô's Aria," by Bernard Herrmann from the movie score of Citizen Kane, in the video below. sang Violetta in La Traviata during the 2014 season.